DESCRIPTION STREET FACING !! Well maintained unit in the exclusive XOLO building of Mission. Located steps from 4th street and 17th ave SW with easy access to Downtown, the river, bars, bistros and restaurants. This 3rd floor unit features 1 bedroom and Den. Upgraded with maple hardwood flooring throughout the living area this little gem has a nice open design with U shaped kitchen featuring a breakfast bar, newer stainless steel appliances(2 years old) and modern lighting. The living room is accented by a gas fireplace, burlap feature wall, large east facing windows and balcony access. The bedroom features his and hers closets and ensuite bath. IN-SUITE LAUNDRY, UNDERGROUND PARKING AND STORAGE. This unit has it all, call today to book your private viewing! 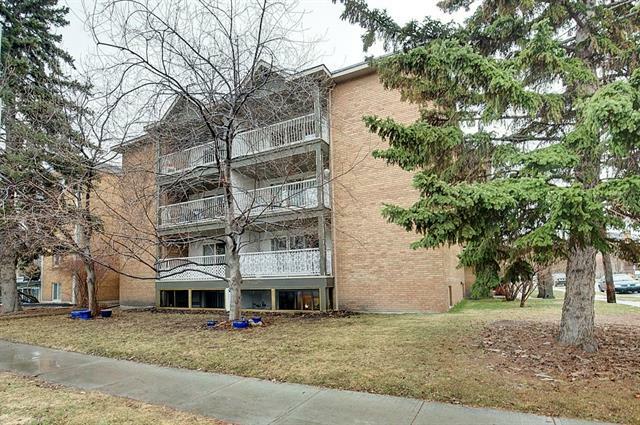 #348 315 24 AV Sw, Calgary, Alberta, MLS® C4233418 T2S 3E7 is a Apartment, 1 bedrooms, 1 bathrooms, approximately 700 Sq. Ft. Listing price 289,900.00. This property was built in 2003.